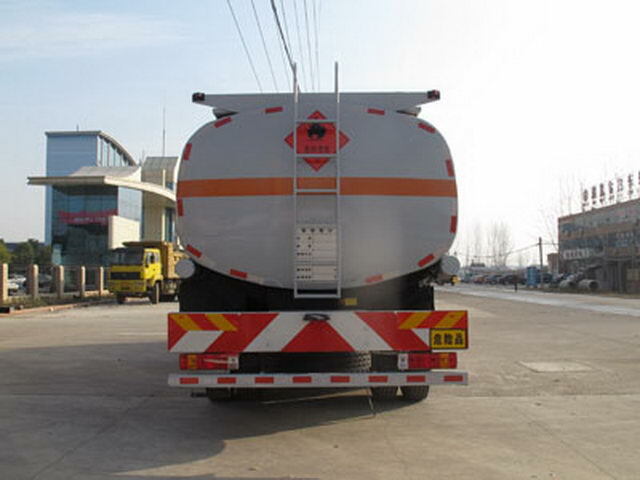 Transport medium:diesel oil,gasoline,Density respectively:830Kg/Cubic metre, 750Kg/Cubic metre,Item No. :3;Effective volume of tank: 22.7Cubic metre, Tank size(long/The major axis/Short axis)(mm):8400/2450/1650,Optional elliptical tank,Tank size unchanged. With the optional chassis cab, Protective material:Q235Acarbon steel,Connection mode:The left and right sides and the rear lower part are protected by welding connection,Rear section size(mm):110*50,Rear protection height(mm):520. 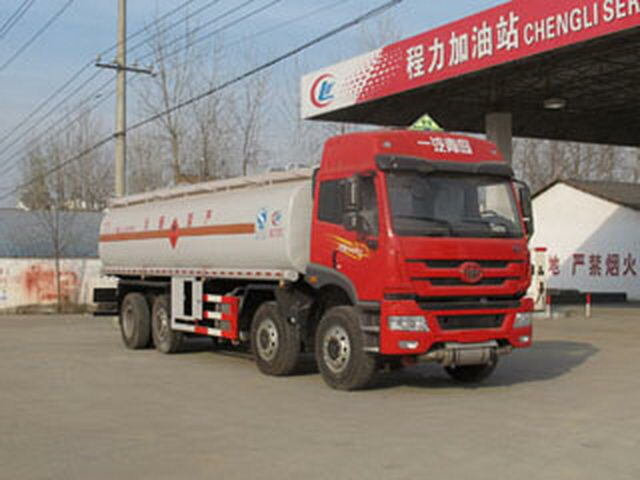 The car can be equipped with fuel pump device model/manufacturing enterprise:80YHCB-60,60YHCB-30/Suizhou Yifeng Pump Co. Ltd.;80YHCB-60,60YHCB-30F/Boshan Shandong Qilu oil pump factory,The chassis for the tanker chassis,Vehicle traveling data recorder with satellite positioning function, ABSManufacturer/Model:Shanghai Wan Jie Automotive Control System Co., Ltd./VIE ABS-II. 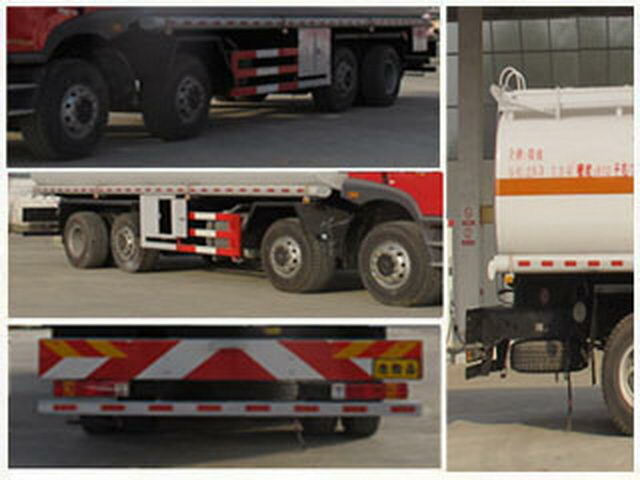 Third axle suspension type for steel plate spring and air suspension,Can not be promoted.Optional flat cab. Optional change around the front,Lamps and lanterns,Rearview mirror,Bumper,The cab door and side wall. LFN5VUUXX x x x x x x x x x x xCA6DL1-26E4,BF6M1013-26E4,LFN5VULXX x x x x x x x x x x xCA6DF4-24E4,BF6M1013-24E4,CA6DF4-22E4. The optional front exhaust pipe.ABSManufacturer/Model:Shanghai Wan Jie Automotive Control SystemCo., Ltd./VIE ABS-II. Optional front disc brake.The optional speed limiting device,Speed limit79km/h.